Established in 2003, University of Petroleum & Energy Studies (UPES) is a UGC-recognized and NAAC-accredited university located in Bidholi, Dehradun, Uttarakhand. The university is known for its education and research in fields of energy and power. It offers industry-aligned and specialized graduate and postgraduate courses through its five schools which include - School of Computer Science, School of Law, School of Business, School of Engineering, and School of Design. 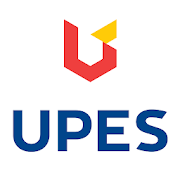 UPES University is a worldwide recognized institution by QS Ratings, giving the university 5 stars for both placement and campus facilities and 4 stars for teaching. Students graduating from the university are said to be the top choice for recruiters, allowing the university to consistently boast 90%+ placements over the past few years. * Fee mentioned above for various courses are in Indian Rupees. at least 50% marks from a recognized university are preferred. Economics/Engineering/CA/ICWA/B.Sc (PCM) with minimum 50% marks from a recognized university. Pass or Honors, BBA with minimum 50% marks from a recognized university. at least 50% marks from a recognized university. JEE Mains cut off is yet to be released. JEE Mains cut off to apply for a UPES B.Tech program is 60%. CLAT ranking of up to 5000 / LSAT score of minimum 60%. B.Tech /BE in Mechanical / Chemical / Civil / Petroleum / Engineering. Science & Engineering / Electrical / Instrumentation & Control Engineering. B. Tech/BE in Civil Engineering. Fire Safety Engineering/ Electronics/ Geo Informatics. B.Des/B.Tech/BE in any discipline/B.Arch/BFA 4 years with minimum 50% marks. by Personal Interview and presentation on the work portfolio. Minimum 65% marks in Class 10th and 12th (any stream). Candidates need to take UPES Law Entrance Test. LLB Degree from a recognized university. All India Ranking in CLAT up to 1000. A minimum of 50% marks at Higher & Senior Secondary Level (10th & 12th). Chemistry & Mathematics at Senior Secondary level. Mathematics at Senior Secondary level. required in Higher & Secondary Level (10th & 12th) along with LLB Degree. The admission process for various courses at UPES University is basically divided into two categories: Examination Pathway and Non-Examination Pathway. For Examination Pathway, admission to the candidates is provided through an entrance exam conducted by UPES. On the other hand, for non-examination Pathway, admission to the candidates is provided on the merit basis or marks scored in the National Level Entrance Exams. The admission form of UPES application can be filled via both online and offline mode on payment of an admission fee of INR 1850 (fee may vary). Candidates can apply online by visiting the official website or by purchasing the application form from the admission centres. Admission to B.Tech courses is provided on the basis of performance in UPESEAT (UPES Engineering Aptitude Test) followed by counselling. Admission to B.Tech-LLB (Hons.) integrated course is also based on UPESEAT score. Candidates can also seek admission on the basis of the valid score in JEE Main in the non-examination category. Admission to B.Plan and B.Des is provided on the basis of the UPAT (UPES Planning Aptitude Test) and UPES DAT (UPES Design Aptitude Test) respectively. Candidates who have given JEE MAIN/ UCEED (Undergraduate Common Entrance Examination)/ NATA (National Aptitude Test in Architecture) are also considered eligible for admission. Selection of candidates to integrated LLB courses is based on the marks scored by the candidate in ULSAT. Marks of CLAT/ LSAT score are also considered in the non-examination category. While admission to BA courses is provided on the basis of counseling interview, admission to BBA is provided through Group discussion followed by Interview. Admission to M.Plan and M.Tech are provided by screening the applications followed by interview. Candidates who have qualified for GATE are preferred for admission to M.Tech. For admission to MBA, candidates must qualify in UPESMET. Scores of CAT/MAT/XAT/CMAT/NMAT/GMAT are also accepted. Admission to M.Des is provided on the basis of the marks scored in CEED or UPES DAT. Admission to MA (Economics) is provided on the basis of the marks scored in UPESEEE (UPES online Economics Entrance exam) followed by an interview. Admission to Ph.D. is given on the basis of the Research Aptitude Test (RET) conducted by UPES. For B.Tech/BBA and LLB, candidates are also provided direct admission scholarship. However, to avail this opportunity, candidates must be a Uttarakhand resident and must have scored rank up to 150 (for boys) and 50 (for girls) in UK State board exams.